Carpal Tunnel Syndrome (CTS) has become one of the most widespread occupational health problems we face today. It affects millions of people a year, and with our growing reliance on computers there seems to be no end in sight.The syndrome is caused by pressure on the median nerve just above the wrist. Pressure on this nerve can be caused by an injury or sustained use from common activities like typing, chopping, hammering, or pushing. Symptoms of CTS range from wrist pain, numbness, tingling, burning, weakness or loss of grip strength, and loss of sleep due to discomfort. There are a number of different ways to treat this condition. 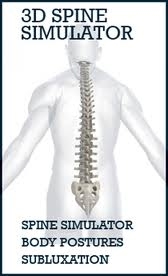 In most cases, a chiropractic adjustment to the affected area is an extremely effective solution. In some cases, a misalignment in either the back or neck can cause this condition, and chiropractic manipulation of the neck and/or spine can also serve as an effective treatment option. These treatments, along with physical therapy, stretching, and strengthening exercises, can in most cases effectively alleviate and eventually eliminate the symptoms associated with CTS.